Hence my comment about it being strangely hard to find official art. Woo! Got Tropius on the list single-handedly by voting it as my #1, you're welcome. What's not to love about flying-banana-sauropod? I finally got one via trading in GO, since it's a regional exclusive to Africa in that game. The bunches of fruit around Tropius's neck are very popular with children. 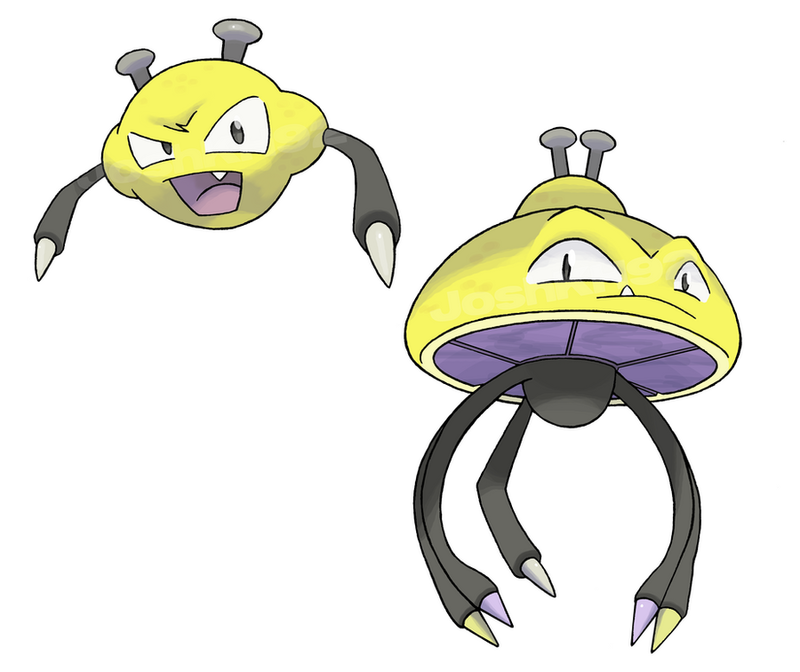 This Pokemon loves fruit, and eats it continuously. Apparently, its love for fruit resulted in its own outgrowth of fruit. I finally got one via trading in GO, since it's a regional exclusive to Africa in that game. 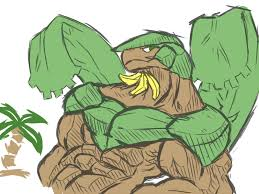 Like, I can't explain why, but Tropius' banana beard is truly upsetting to me. Please, kids, don't eat from Tropius. Tropius's banana beard is probably the best feature. Not only can one fly you anywhere you want to go, there's also a free in-flight meal! Objectively, I know this. But... just shave, Tropius. Please. EDIT: To be clear, I'm not criticizing Tropius. This is my own weird thing. Last edited by Johnny Unusual; 09-13-2018 at 12:58 PM. If I didnt make it in to TT's 50 favorite dinos. Okay the thing is when your body is made up of plants I do just want to rip the plants apart like a curious toddler or chimp. Sometimes I want to eat them. Sorry 2 countless pokémon and the sylvari. I’m almost 30. I’m basically 30. Heck on that advice! I bet Bulbasaur bulbs taste fantastic steamed with butter and a little lemon. When park co-financier Solitayre submitted his vote for the Shoebill (a kind of bird) to be included, there was some... consternation. Many late-night meetings were held, only some of which he was invited to. But, BY GOD, this park was founded on the one simple principle that if you consider it a dinosaur, then who's to say it isn't?. And besides, look at that goober. You look at that guys face and tell me you don't want a 50-foot tall one behind an electrified fence! You can't do it, can you? 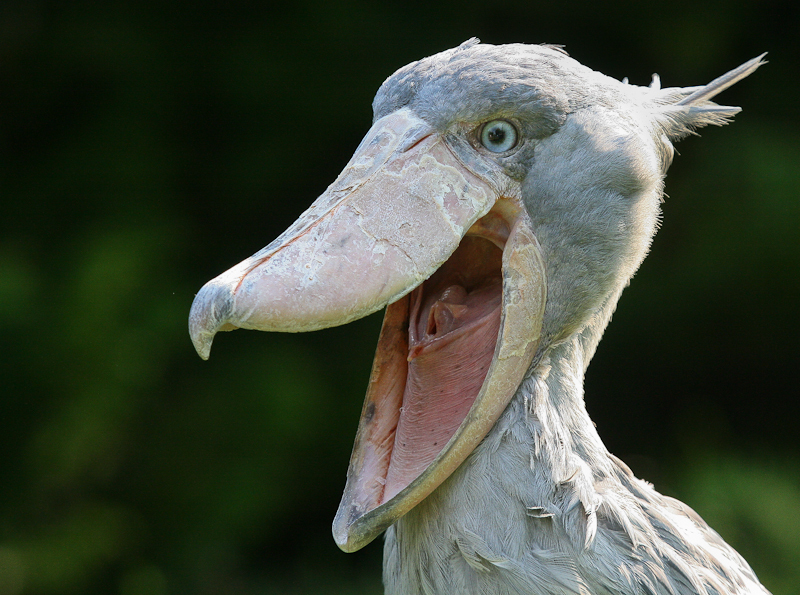 The Shoebill (or Whalehead) is a kind of Stork from central Africa, noted for being really big and looking like a big, smug, doof. Some Shoebills have been known to reach 60 inches in height. Which is way too big for a bird. It's also considered to be one of the five most desired birds in Africa by ornithologists. And I am honestly not sure how big of a deal that is. I'm presuming there's a lot of kinds of birds in Africa though, it's a big place, so I guess it's pretty good. When voting for what dinosaurs to include in our park commenced, there were, of course, some debate. Naturally, many people wanted to vote for the tyrannosaurus. But some people, jokesters mainly, thought it was a better idea to split the vote by voting for a guy who is basically a tyrannosaur, but isn't quite there. So if your favorite dinosaur didn't have enough votes to show up, I guess you can take solace in the fact that a T-Rex knock-off that even Wikipedia knows barely anything about won't be forgotten. On the other hand, this fella is also called The Tyranno-Titan or Gigantosaurus, and is the largest land-predator ever discovered. So WHO'S LAUGHING NOW?!?! The Sauroniops Pachytholus is a theropod dinosaur. What does "Theropod" mean? Well, let's do some word-association. 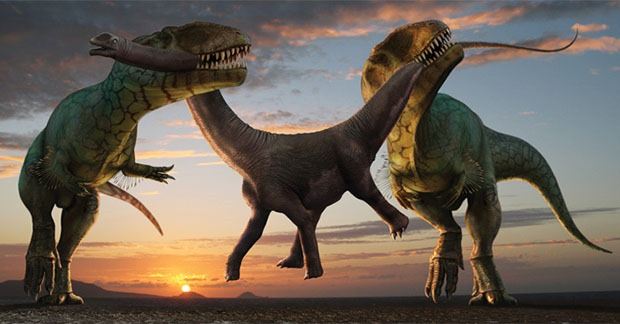 When I say the word "dinosaur", odds are the image that pops into your head is a theropod. It resembles a tyrannosaur in many respects, except that it has a relatively smaller, more streamlined head. And I say "relatively" because this thing... was... HUGE. It was only recently discovered (enough bone-fragments to make a good guess at the size of its head were found in 2012), and is 40-feet long and 10-feet tall. It was also named Sauroniops not because "Sauron" is a good dino-name, but because all they could find was a gigantic eye socket, and figured they might as well name it after the bad guy from Lord of the Rings. Shoebills are pretty great. Here it is in action. Yessiree, great bird. Great video. And it ends entirely happily. Yep. Certainly no need to see anything beyond the point where I set the video to end. No sir. Shoebill is a great choice. * It looks cool. Look at those stripes on its head. What do you mean "artist interpretation?" Don't care. It's sleeker, meaner, more streamlined (but note not smaller) that dumb ol Rex. This thing wouldn't get outpaced by a jeep I tell you that. * It's from Morocco. That means it wore a fez. At first I thought this was just the equivalent of Loki voting for Hydrox when asked for the Best Cookie. I’m nothing if I’m not a guy who votes for good dinos. What is a 60-inch (i.e., 5 foot) bird but a small modern-age dinosaur?! I am starting to worry my #1 may have been folded into a larger vote in which case I will be... upset. Shoebills are the only birds that are truly frightening and sinister... great choice. Cassowaries are dangerous, but I don’t feel threatened by them. If one suddenly appeared to me in this room and charged, I guarantee I would be fearless. Cassowaries are dangerous, but I don’t feel threatened by them. Lucky you. Unfortunately, they keep shoving notes under my door reminding me to pay my vig or they'll break my arms. Shoebill was the only thing I voted for. I am pleased it made the list. My work here is done. If you'll look to your left, you'll see one of the biggest exhibits we've produced here at Cloneasaur Industries; Anguirius! Now he may look like a pretty terrifying, with his spikes and his permanent scowl and whatnot, but I have been assured by our top FUNgineers, that he is a Friend to All Children and works tirelessly towards saving our planet from alien space-monsters. 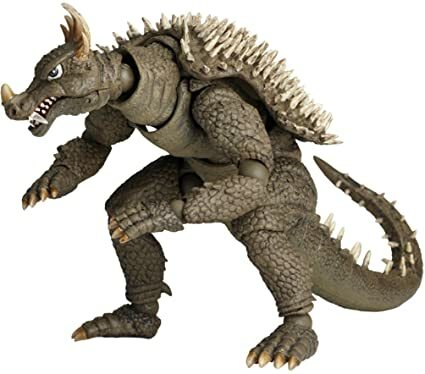 Anguirus is a gargantuan, mutated ankylosaurus who first appeared in 1955s Godzilla Raids Again, being the first Kaiju to ever fight Godzilla, and thus setting the template that the entire genre would soon follow. Though Anguirus died in that movie, he nevertheless came back for several sequels where he was a close friend to Godzilla, until he was later killed again. Later, he came back for the film Final Wars where, once again, he died. Besides being a gigantic spiky dinosaur, Anguirus also showed himself being capable of astonishing speed, which he could put to devastating effect by curling into a ball. He's a Dinosaur with a Battle Axe! He can breathe fire too! Don't get too close to the fence, kids! That there is a Hackasaurus! Or Battle Rex, as we used to call him before we smartened up! You can probably tell he's dangerous because, unlike most dinosaurs here in the park, he has a Battle Axe. But the axe is really just a distraction. He can't cut butter with that crazy thing. No, that's only there so everyone pays attention to it... then he breathes fire all over his victims until they're dead. But don't worry, he's a sweetheart. In fact, just beating one up makes it completely subservient to you. Which I really hope no animal rights groups hear about. We'd be in some real hot water. Hackasaurus (or Battle Rex, as they're sometimes called) are recurring monsters in the Dragon Quest series; mid-tier enemies that attack with both powerful axe strikes and devastating firebreath. They first appeared in Dragon Quest 6, and also appeared in nearly every consequent game in the series. Most notable for being a very powerful early possible recruit in the Monster Arena in DQ8. Toriyama dinos are the best. Hackasaurus looks really happy. Also, don't be fooled by his name, he's actually a very good writer. Lizzie is my favorite character in Dragon Quest VI, which probably says more about the blandness of the characters in that game than anything else, but still.